Every few months, it seems another company decides to copy Snapchat’s Stories feature that lets users create approximately 10-second videos their followers can view for just 24 hours. Instagram announced it was introducing Stories in 2016, followed by YouTube, Facebook, and Skype in 2017. Even dating apps like Bumble and Match have started testing their own version of Stories. TechCrunch reported this week that Airbnb is now getting into Stories and is testing the idea among a small group of users. The idea is that a user will share photos and videos while traveling in order to give other users ideas of places to visit when they’re in a particular city. While Airbnb is neither the first nor the last app to copy Stories, this time feels different, simply because Airbnb isn’t a social app in the same vein as other Stories competitors. Airbnb is still an app people go to when they’re making one big purchase, and because of that, I don’t see the Stories feature taking off on Airbnb the way it has on other apps. At first glance, it’s easy to see why companies are so eager to adopt Stories. According to data from social media agency Block Party, the number of accounts that created or viewed a Story on Instagram, WhatsApp, Snapchat, and Facebook Messenger rose 842 percent between 2016 and 2017, reaching more than 970 million accounts. 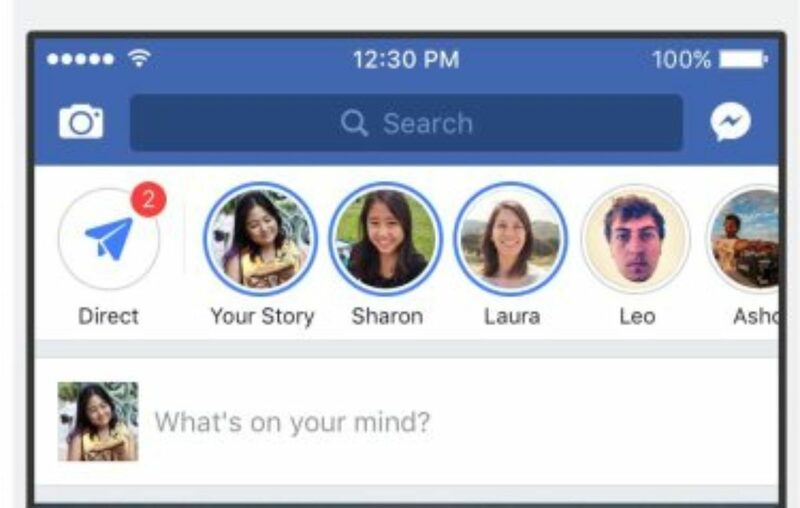 But anyone looking to copy Stories’ success also needs to take into account that among Facebook’s family of apps, Stories are given prime real estate at the top of the news feed. This can inflate just how sticky Stories actually are. I personally look at Stories a lot — particularly on Instagram, where Stories sit at the top of the feed and are highlighted in blue if you haven’t watched them yet. Looking through all of my unwatched Instagram Stories is as satisfying as dismissing an email or Slack notification. But it’s mostly a way for me to kill time in line at the coffee shop or while waiting for the subway. I find that when I open an app to watch Stories, I usually exit the app once I’ve watched all of them. And because Stories are so short — 10 seconds long at most — I usually forget what I watched pretty quickly. While I was writing this article, I tried to recall what I had seen on Instagram Stories this morning. Of the 10-plus Stories I scrolled through, I could only recall what one was about. And I don’t open the Airbnb app when I have a few minutes to kill — I open it when I’m planning a trip. Then I spend maybe 30 minutes comparing various listings. After I book a listing, I usually open the Airbnb app once before I leave for the trip to check the address of where I’m staying and communicate with the host, again once I land in the city, and a third time to write a review. After that, the Airbnb app gathers dust on my iPhone until I’m planning another trip a few months later. But travelers spend a lot of time and research tracking down those local favorites because they want to make sure they find a place that’s worth their time and money. Given the format’s constraints, I don’t think Stories is the ideal way for a user to get the information they need about a restaurant or museum they may want to visit. I rarely take the time to research places friends post about in their Snapchat, Instagram, or Facebook Stories, because I use Stories to take a very surface-level look at what my friends are up to. And I wouldn’t be surprised if many Airbnb users feel the same. One way I think Airbnb can salvage its dive into Stories is with features that make it easy to jump between other videos, photos, and reviews in order to facilitate the research a user will need to do to plan a trip. Airbnb appears to be thinking about this as well. Its FAQ page encourages testers to post around 10 short videos to create a visual timeline of what they did during their trip, as well as 1-2 sentence captions that give other travelers tips on what to do in a particular place. There’s still a lot we don’t know about what Airbnb’s Stories will look like in practice — if the company ends up doing a wider release of the feature at all — but it’s a good reminder that the stickiness of Stories hasn’t really been proven outside of social apps. And companies need to ask themselves if Stories — a format that encourages users to spend just a few seconds creating or viewing a video — is really the best way to get users to stick around longer, especially when they’re researching what to spend their money on.